Palouse Environmental Sustainability Coalition (PESC), Wild Idaho Rising Tide (WIRT), and 350 Boise invite community members to participate in the third Tar Sands Solidarity Journey during the last week of June 2014, to and from the fifth and final, annual Athabasca region Tar Sands Healing Walk on Friday through Sunday, June 27 to 29, near Fort McMurray in northeastern Alberta [1-4]. The Idaho-based groups are coordinating carpools and caravans to Canada, to converge for ceremonies and workshops and to walk in solidarity with First Nations and Metis elders, indigenous residents, grassroots allies, anti-tar sands activists, and journalists from across the continent and world, at this hundreds-strong gathering. Event coordinators enthusiastically encourage involvement in the solidarity journey, healing walk, and a local planning meeting at 5:30 pm on Tuesday, May 27, at Maialina Pizzeria, 602 South Main Street in Moscow. Organizers welcome ideas for and co-leadership of actions in the Northwest concurrent with the healing walk, such as Native drum circles, round dances, or other demonstrations of solidarity. After the Tuesday meeting, join local citizens at the Kenworthy Performing Arts Center (508 South Main Street in Moscow) for the free, public, 7 pm screening of the weekly, climate change, television series Years of Living Dangerously. For further information about the Tar Sands Solidarity Journey and Healing Walk, please view the linked websites, videos, photos, and articles. Contact Pat Fuerst of PESC at 509-339-5213 and epfuerst@frontier.com and/or Helen Yost of WIRT at 208-301-8039 and wild.idaho.rising.tide@gmail.com and/or James Blakely of 350 Boise at 208-384-1023 and james.blakely@sierraclub.org, with your questions, suggestions, comments, and RSVPs. Since the first Healing Walk in 2009, this spiritual procession has been inspired to heal the people and places devastated by tar sands development. The Tar Sands Healing Walk is not a rally, march, or protest, but a respectful acknowledgment of the living beings, waters, lands, and air that suffer from tar sands extraction driven by unhealthy energy addictions. With the emergence of the Native-led Idle No More movement and the significance of four in indigenous teachings, the 2013 Healing Walk attracted the attendance of over 500 people from around Turtle Island (North America) and the Earth [5-7]. Healing Walkers prayed for the land, the people, and a future full of justice, honor, and integrity, instead of mistreatment and destruction. Over the last 50 years, tar sands production projects initially obtained little crude oil but now intensively surface-mine and steam-blast from underground much heavier bitumen, one of the planet’s dirtiest oils, requiring massive amounts of energy and water to produce. As the demand for this oil continues to grow, tar sands-exploiting corporations and countries exhaust and contaminate natural resources with myriad toxins that directly affect and jeopardize human, wildlife, and environmental health. They occupy traditional subsistence territories, diminish clean surface and ground water, compound pipeline construction and spills, and exacerbate climate change. Tar sands tailings ponds leaking into the Athabasca River and aquifer, and smoke stacks belching greenhouse gases carry carcinogenic pollution through communities from Fort McKay to Fort Chipewyan and Fort Smith, impacting Treaty 6, 7, 8, and 11 territories all the way to the Artic basin. Many tribal and activist groups have engaged and educated the public, to expose the vast devastation of the inextricably poisoned landscape and downstream watersheds, and to promote more diversified, local economies and healthier progressions toward alternative, sustainable energy and transportation, such as distributed solar, wind, and wave power and electric vehicles. Among expanding Alberta tar sands operations and escalating opposition, the Healing Walk has evolved into powerful weekends of information sharing and community and movement building. But the fifth Tar Sands Healing Walk will be the last in the Fort McMurray area, in hopes of properly focusing on the immense scope of the fossil fuel issue and on other, ongoing extraction practices that so brutally abuse lands, bodies of water, and places that have been sacred to indigenous people since time immemorial . 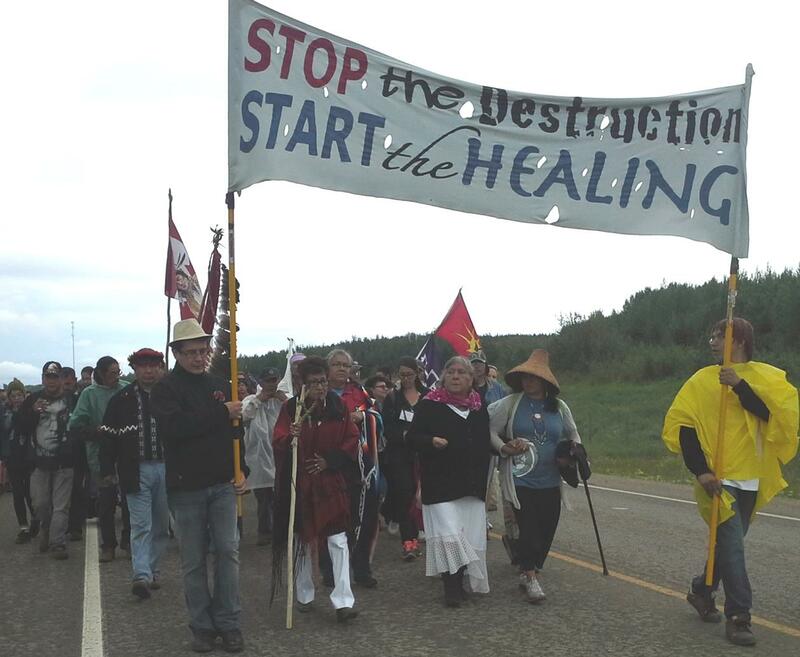 Healing Walk organizers wisely suggest that, “to stop the destruction, the healing has to start everywhere” . 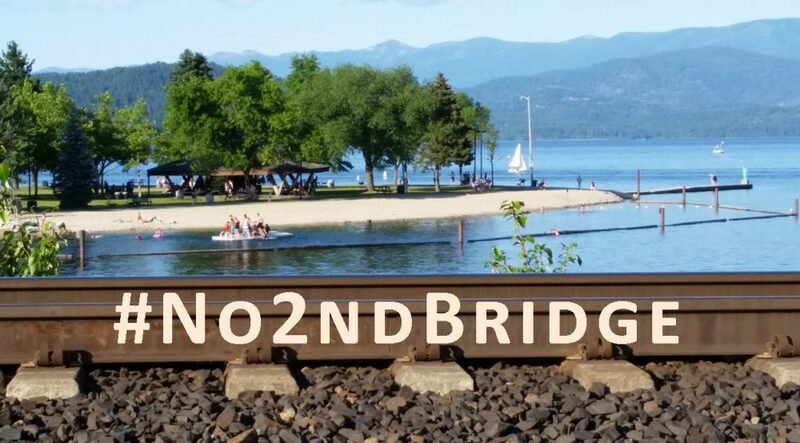 The Third Tar Sands Solidarity Journey will tentatively depart Boise and Moscow, Idaho, and Spokane, Washington, early on the mornings of Tuesday, June 24, and/or Wednesday, June 25, and will return by Tuesday, July 1. This life-changing, week-long adventure offers opportunities to inexpensively provide and share food, fuel, equipment, and fees for a summer camping trip to and from the largest industrial project on Earth. Over the last two years, three to eight regional participants have rented and/or driven hybrid vehicles 300 to 400 miles per day, exploring the Canadian Rockies before arriving at the Healing Walk lakeshore encampment in the northern boreal forest, for speaker presentations and workshop discussions on Friday [9-12]. On Saturday morning, everyone has converged near bitumen ground zero, Syncrude’s Mildred Lake site. After a pipe ceremony at Crane Lake Park, participants have peacefully and spiritually walked and/or rode eight miles, in transforming solidarity with hundreds of people of all ages caring for the life of the Athabasca River basin. While sharing stories, prayers, and songs with Natives and settlers from around the planet, visitors have together experienced two of the largest and longest-operating tar sands facilities from the roadside path, learning to more fully understand the environmental, human rights, and land claims issues imposed by the sandy landscape and stinky wind. After successful walks, participants have gratefully shared an evening feast, entertainment, campfires, and round dances with the gathered network of allies. Embarking after final ceremonies on Sunday morning, Northwest travelers have retraced in reverse the routes of megaloads of tar sands processing equipment, traversing the remotely rural and wildly scenic byways of Alberta, Montana, and Idaho. Prairie lakes and woods in southeastern Alberta and the spectacular Rocky Mountain Front in Montana have sheltered two nights of camping, before journeying homeward through the renowned Blackfoot and Clearwater river valleys.